With strong industry expertise and profound experiences in organizing MICE events, Taiwan is deemed as one of the leading MICE destinations around the world. Under the leadership of MEET TAIWAN, the flagship MICE branding program empowers global MICE players with diversified resources and connections that can bring their ideal MICE events to live. Velo-city Global 2016 was the best example which showed Taiwan’s MICE competitiveness to give big high fives to professionals. It is an internationally growing trend to have multiple MICE activities host in the same time, which provides all-dimensional knowledge and exposure, and demonstrate the destination’s full MICE strength to the world. Eyeing on this trend and Taiwan’s world-renowned expertise in bicycle manufacturing industry, MEET TAIWAN facilitated the mega team which consisted of Taipei City Government, European Cyclists Federation, TAITRA, and Chinese Taipei Cycling Association to bring the three giants - Velo-city Global, Taipei International Cycle Show and Tour de Taiwan- in the cycling industry to Taipei in March. These mega events formed the golden triangle of comprehensive MICE abilities including exhibition and industry player interaction, which perfectly showed the leadership of MEET TAIWAN and shared the MICE resources, amplified the awareness and brought more MICE professionals to Taiwan. 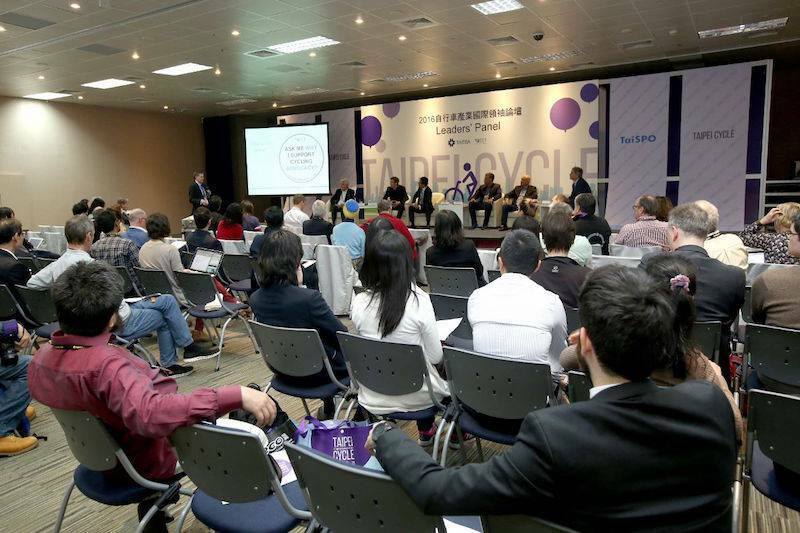 Thanks to MEET TAIWAN and Taipei City Government’s joint efforts, Velo-city Global 2016, the European-based conference that aims to build a new lifestyle with cycling, came to Asia the first time and made Taiwan sparkle in the global bicycle industry. From the growing cycling lifestyle, internationally-celebrated manufacturers, cyclist-friendly environment to the beloved bicycle-sharing system YouBike,Taiwan, the “Cycling Kingdom,”has the strengths in every aspects to drive the industry to a higher level. Apart from the above features, the close partnerships with key industryplayers and international bicycle associations and the bidding team successfully showed Taiwan’s MICE advantages through a solid background research, competitive bidding strategy and strong lobbying network supported by overseas offices, which brought the Velo-city Global to Asia, and also highlighted the cross-organizational negotiation and coordination ability of MEET TAIWAN. Walter Yeh, Executive Vice President of TAITRA and Managing Director of MEET TAIWAN indicated that the outstanding collaboration of cycling mega events proved Taiwan’s capabilities to organize international conferences and exhibitions of different scales and deep industry focus. The joint efforts made by MEET TAIWAN, MICE venues,central and local governments as well as event hosts also represented strong vertical partnerships in the industry and helped Taiwan to becomeone of the best MICE destination in Asia.